Please support our local tour operation. Why? We were met at Terminal 2, as they said. Yhony, Miles, Kenny, Wayne, and the "Snake Man" were all polite, helpful and funny - they are all experts at treating their customers/guests perfectly. 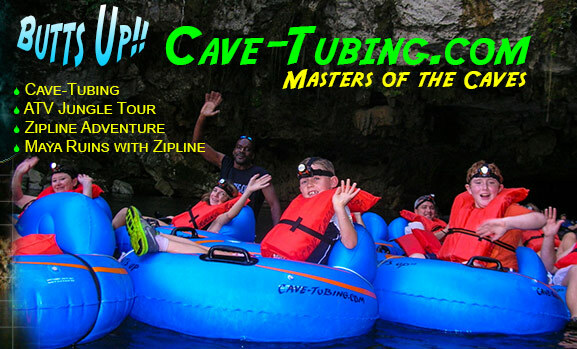 We did the ATV/Cave Tubing package, and had ages 9 to 60, and all enjoyed it. We also saved a lot of $ by booking directly with them. This video, posted on youtube.com by one of our past guests, Ben Mahaffey captures the real spirit of what cave-tubing in Belize is all about and what our future guests can come to expect from us. Enjoy! Thanks to Ben for sharing this video! Watch the ATV Jungle Tour Video.